Rossendale Hospice takes your privacy seriously and is open about the way in which data is processed, collected, stored and used in accordance with our legal responsibilities under privacy and data protection laws. By visiting Rossendale Hospice website or accessing services, you are agreeing to your personal data being used in accordance to this policy. We will not use your personal information for marketing purposes unless you have specifically agreed to us doing so; for example, if you have consented to receiving such information via electronic tick boxes or similar, as required by local privacy and data protection laws. The General Data Protection Regulation (GDPR) explains how personal information should be processed. This applies to all information whether held on paper or electronically on computer systems. We ensure that personal information is processed fairly, lawfully and as transparently as possible, in accordance with the regulation. You can request that we stop using your personal data in this way at any time by contacting us using the details below. However, if you withdraw your consent it may prevent us from keeping you up to date and offering our services to you. ? You can obtain further information about data protection laws by visiting the Information Commissioners Office website at www.ico.org.uk. Your details will be securely stored within your patient note, either paper form or electronic. On initial assessment you will be asked to complete a consent form to store your personal data, however you can consent or not to the Hospice sharing information with other healthcare professionals so that they can work together for your benefit. There is a legal requirement to store any data collected whilst you use our services for a period of 8 years. 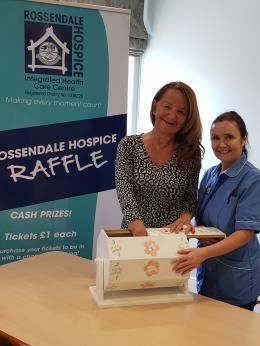 Donations to Rossendale Hospice are processed securely by World Pay. In order to effectively process credit or debit card transactions, it may be necessary for the bank or card processing agency to verify your personal details for authorisation. We understand that many supporters like to remain anonymous. We will respect your wishes and not publicise your details. However, we may retain some of your personal information for the condition of processing the payment. Your permission will also be sought for further contact about the charity, gather further information and feedback from you, administer donations made to Rossendale Hospice and claiming Gift Aid, if applicable. This also includes debit/credit card verification. To provide supporters, service users and donors with news related stories, fundraising campaigns, volunteering opportunities and charity shop offers we may use legitimate interest to send you this information however you can opt out of receiving this information if you wish. Rossendale Hospice uses a variety of professional and trusted organisations in order to help us provide services to you. We may disclose your data to our affiliated organisations, especially if required by law, requested by law, enforcement authorities or to enforce our legal rights. Banks & Payment providers to authorise payment transactions plus organisations to help prevent online fraud. Behavioural tools such as Google Analytics to help develop our website and ensure we are providing an effective information tool. Communication sites such as Mail chimp and Survey Monkey which is outside the European Economic Area (EEA). We use this site to send our monthly email newsletters, surveys and other updates. Other sites such as Just Giving, Much Loved and Nutickets to administer event payments, set up Crowdfunding pages and specialist tribute pages. Public Body organisations including HMRC who allow us to claim 25% tax back on donations given (where applicable) and Disclosure Barring Service for volunteering and staff application processes. IT Systems. To ensure your information is as safe and secure as possible, we have data management agreements with third party IT suppliers and all information is encrypted. If you do not wish to receive communications from the Hospice, please let us know by calling 01706 253633 or emailing info@rossendalehospice.org and we will update our database. Rossendale Hospice keeps your personal data safe and secure. It is held in an identifiable form for as long as we have a legitimate reason to use the data, as required by law. For example, we keep data around all gift aided donations; we are required by HMRC to keep your data for six years after the tax year in which the donation was made. When you have given your explicit consent to share your data. When we are required to disclose your data in order to provide any service or product that you have requested. When we are legally compelled to disclose to governmental authorities. You may provide us with information about others for example, if you tell us who you are raising money in memory of or in support of another person. You must ensure that they are happy and have agreed to you providing us with their information. Where required by local law, we would advise you to keep a record of their agreement and provide them with a copy of, or link to, this policy. This is especially the case if you provide us with sensitive information about them (e.g a reference to an illness or health condition). If you are fundraising for Rossendale Hospice on behalf of a company, body or organisation which is managed by someone other than yourself, you must ensure that the manager(s) of that club or association etc, agrees to your fundraising. Providing a service to you; we will use your information and medical history to ensure we are providing the right service for your needs. Communicating with you; we use your information to keep you up-to-date on news and fundraising activities for example. You can always update your preferences on the email communications or contact the hospice to stop receiving such information. When you use the website we anonymously record the details of the pages you look at. This data is not personally identifiable. We use this data to monitor site traffic and analyse paths customers take through our site which enables us to improve the service we provide. This information is only used by ourselves and is not passed to any other party. Article 17 of the General Data Protection Regulation allows you the right to request copies of the information we hold about you. In certain circumstances you also have the right to stop Rossendale Hospice from processing your personal information. Please note that any access rights will require proof of identity. 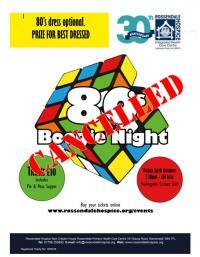 Rossendale Hospice will respond to access requests within one month of your wish. In certain circumstances we might not be able to provide you with access to some of your personal information, but where appropriate we will notify you of the reasons for this. If you have a complaint about how we have dealt with your personal data, you may contact us on the details below and we will investigate this matter carefully in line with our complaints procedure. If you wish to complain please address your email or letter to the CEO.